What could be better than a new tank top in a cool black marble color? 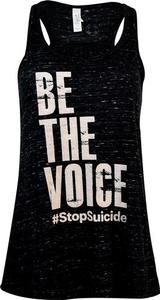 How about one that reads, “Be the Voice, #StopSuicide” across the front? 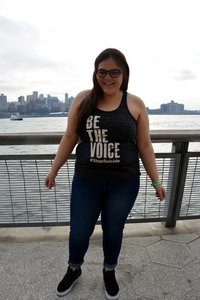 This Women's Black Marble Be the Voice Tank Top also displays our new logo, on the back top.